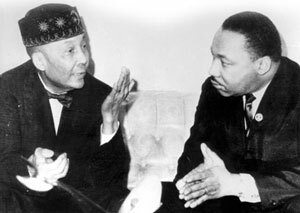 In the spirit of the great Black voices of dissent from the past like the Honorable Elijah Muhammad and Dr. Martin Luther King Jr., the Honorable Minister Louis Farrakhan is warning President Obama not to go to war in Syria. These questions just highlight only one of President Obama’s dilemmas, all of which are of epic proportions. President Obama needs help. He needs good counsel. He needs advisors who can appreciate America’s connection to the powerful nations of the past. 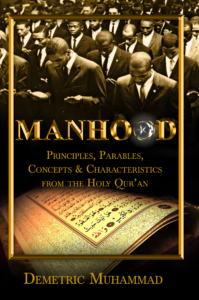 He needs advisors who have examined the problems that he is facing in the light of prophecy and what the founders construed as American’s “Manifest Destiny.” President Obama needs to listen to the counsel of Minister Louis Farrakhan. Why Farrakhan, you might ask. 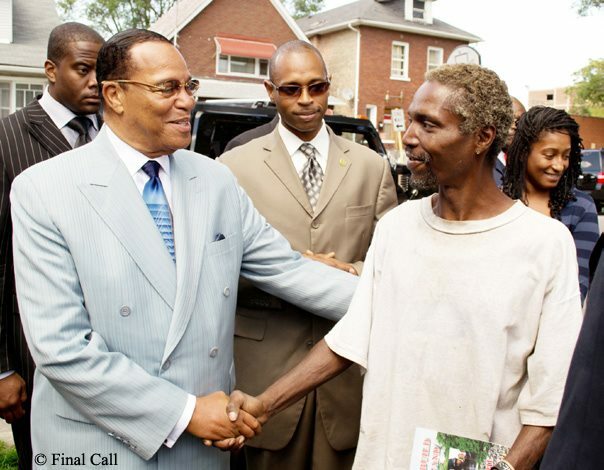 Minister Farrakhan is not tethered to any of the corporate interests whose advice to the President is tainted by potential profits made through contracts to rebuild war torn countries. Minister Farrakhan has not been a part of any of the Presidents woes. Not the economic recession of 2008; not the war in Afghanistan; not the divisive climate in Congress; not the effort to repeal his healthcare reform bill. Minister Farrakhan has, instead, worked around the clock, at the ripe age of 80 years of age, to abate the violence in Chicago (Obama’s hometown) and around the country. The Minister has personally led leagues of Muslim men into crime-laden areas of Chicago and New York while he dispatched his ministers nationally to do the same in cities around the country. He has recently toured to rally support and draw attention to the economic plight of historically Black colleges and universities. The Minister is also participating in America’s economic recovery by re-opening the Nation of Islam’s Salaam restaurant that hires local Chicago residents to work there. The Minister even used scripture to show how the election of President Obama might be viewed as a herald of the Messiah or Messianic age of American Politics. And many in the Black and Muslim communities surely held hope that President Obama would usher in a politically “messianic” age by healing the wounds created by former American Presidents and their errant foreign and domestic policies. His brilliant speech in Cairo early in his presidency supported this view. His brilliant speech on racism in the wake of criticism over his former pastor and mentor Rev. Jeremiah A. Wright was also hopeful for Blacks that he understood the complex issues of Race in America. Minister Farrakhan’s gathering of nearly 2 million men in Washington D.C. around the themes of atonement, reconciliation and responsibility bear witness to his leadership status among Black people in America. 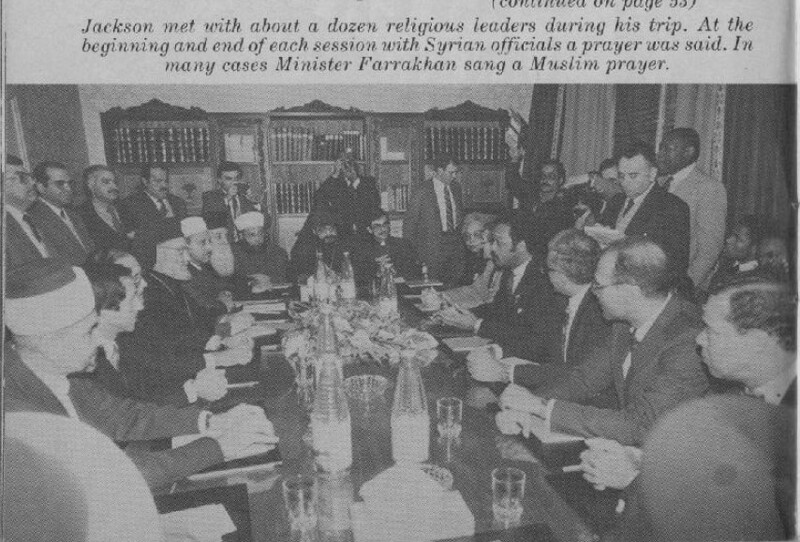 And his 3 World Friendship Tours bear witness to his global influence among Muslim populations. 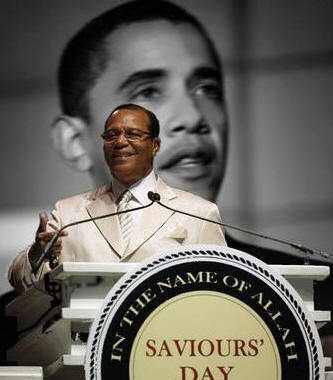 But President Obama may not be aware that his own meteoric rise to become America’s first Black President is due largely in part to the influence of Minister Louis Farrakhan among these 2 key populations; Blacks of America and Muslims of the world. For it was in 1983 that the Rev. Jesse L. Jackson took Minister Farrakhan with him on a mission to secure the release of a Black American Naval pilot, Lt. Robert Goodman. Lt. Goodman’s plane was downed after flying over Syria and he was being held by Syrian authorities. At that time they had no intention to release him, and it appeared that President Reagan had no intention on seeking his release. So Rev. 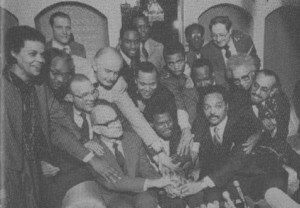 Jackson took a group of Black clergy to make an appeal to the mercy of the President Hafez Al-Assad of Syria. President Hafez Al-Assad is the father of current President Bashar Al-Assad of Syria. The reason why the release of Lt. Goodman in Syria is so important to the election of President Obama is because this event gave Rev. 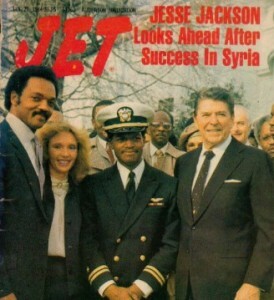 Jesse L. Jackson his “international credentials.” Rev. Jackson needed international credentials in order to rally support for his own run for the presidency in 1984. 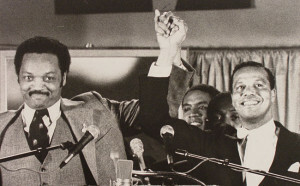 His successful negotiation for the release of Lt. Goodman allowed the American public to view him as a realistic contender to become America’s first Black President. But Rev. Jackson ran for the president and lost both in 1984 and 1988. Yet it was Rev. Jackson’s failed campaigns that served as dormant seeds of yearning in Black America that were re-awakened when Sen. Barack Obama began his run in 2008. And once Senator Obama won in Iowa during the democratic primaries, the Black electorate began to fertilize his campaign with love, encouragement, and material support. The attitude in Black communities was that maybe Senator Obama could finish what Rev. Jackson started. And while his campaign slogans were “Hope” and “Change you can believe in,” it was really the hopes, wishes, dreams and aspirations of Black people in America, that were the wind beneath the wings of his successful campaign. The love and endorsement of the Black community has been indispensable for President Obama. Certainly, the Black electorate alone is far less than the millions of white voters that voted for President Obama in both elections. But it has been the Black community that has refused criticism, protest and condemnation of President Obama despite receiving the least benefit of all groups considered to be in the President’s base of support. In fact, some have commented that were the Black condition as miserable as it is now in terms of crime, unemployment, the wealth gap, healthcare and education under a white President, that Black people would be rioting and protesting in the streets! At the end of his second term, will he be welcomed home by the Black community as a hero? Or will his reputation be so tarnished by his errant foreign policy and lack of domestic policy that he will be ostracized as one who rose to prominence but ultimately forgot where he came from? I strongly encourage President Obama to listen to the one man whose insights best harmonize with the President’s own Bible based faith and his early desires to right the wrongs of the past administrations. I encourage him as member of the Black electorate who voted for him, to listen to Minister Farrakhan and heed his advice. 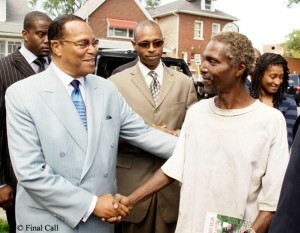 I encourage President Obama to consider, that if Minister Farrakhan did not help Rev. Jesse L. Jackson to secure the release of Lt. Goodman, Rev. Jackson would not have earned his “international credentials.” If Rev. Jackson doesn’t get his “international credentials” he would have remained only partially qualified to run for President and may have not run at all. But he did run and he lost. Rev. Jackson’s defeat set up President Obama’s victory. The fact that Minister Farrakhan in Syria is at the historical root of President Obama’s presidency is, historically speaking, the bringing together full circle of cause with effect. And in the background is the significance of Syria being the burial home of the most important Black man in the history of the religion of Islam, Bilal Ibn Rabah. Bilal was given by divine inspiration what is known as the adhan or Muslim call to prayer. The adhan began by Bilal is used by all of the nearly 2 billion Muslims around the globe to invite or call the faithful to prayer, cultivation and the worship and obedience to God. There are numerous traditions about Bilal in Islamic sacred texts. One popular hadith or saying of Prophet Muhammad (pbuh) is that he heard “the footsteps of Bilal going into paradise ahead” of his own. Some have interpreted this hadith or saying of Muhammad to mean that Black people would lead the world to peace on earth after a long protracted season of war. The Muslim world held out hope that President Obama would be a “Bilal-type” of figure in his foreign policies, as a fair and courageous son of Africa that would be a blessing to the Muslim world. So far President Obama has not lived up to the hopes and expectations of the Muslim world. So far President Obama has not lived up to the hopes and expectations of the Black community. He is quandary. His predecessor in Black American presidential politics, Rev. Jesse Jackson used Minister Louis Farrakhan to gain his much needed “international credentials.” And Minister Louis Farrakhan is available today to help President Obama save his diminishing standing in both the Muslim world and the Black community in America.